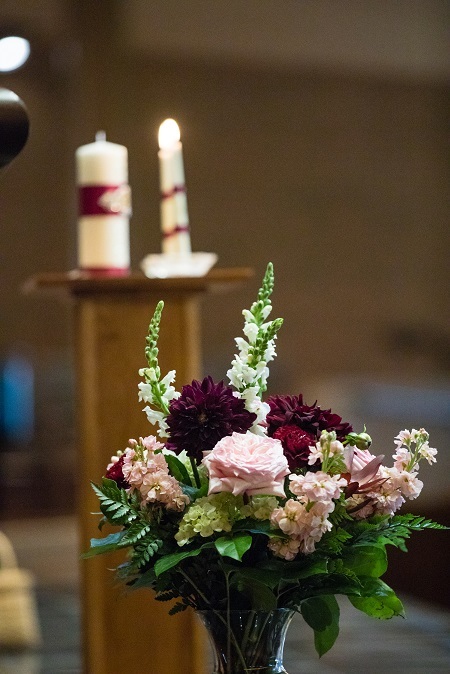 Bryan and Erin were married September 22, 2018 at St. Patrick’s Church of Merna in Bloomington, IL. 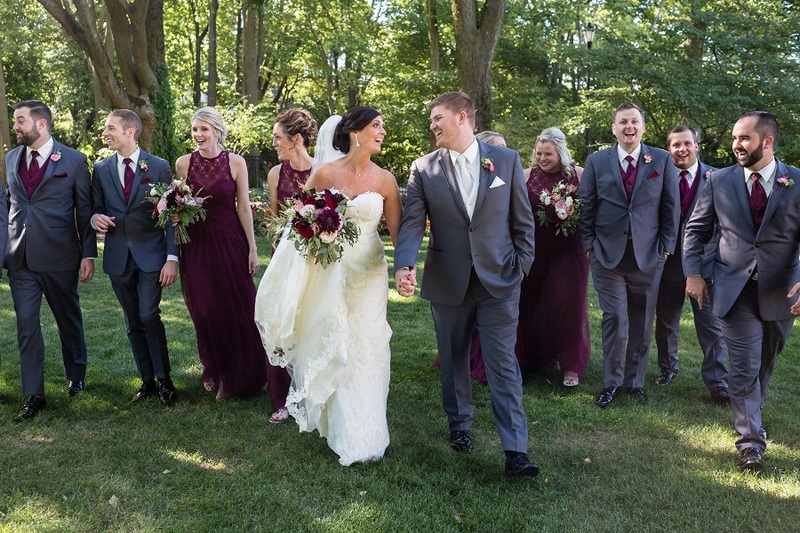 The weather was gorgeous for the early fall Illinois wedding and the carefully planned details came together beautifully!! Racheal Schirano Photography captured these outstanding images. Bryan and Erin first met through mutual friend groups and enjoyed a long friendship together before taking their relationship to the next stage. While on a trip to the Grand Canyon with friends, Bryon proposed to Erin by getting down on one knee at the edge of the canyon which made for a most beautiful photo backdrop as well as a trip to always remember! 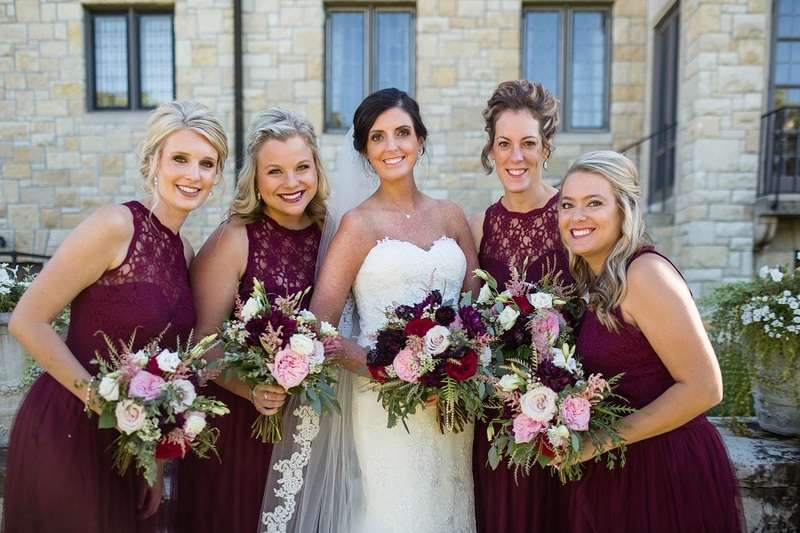 Burgundy is one of Erin’s absolute favorite fall colors so as soon as they decided on a fall wedding she knew she wanted to include it in her wedding color palette. 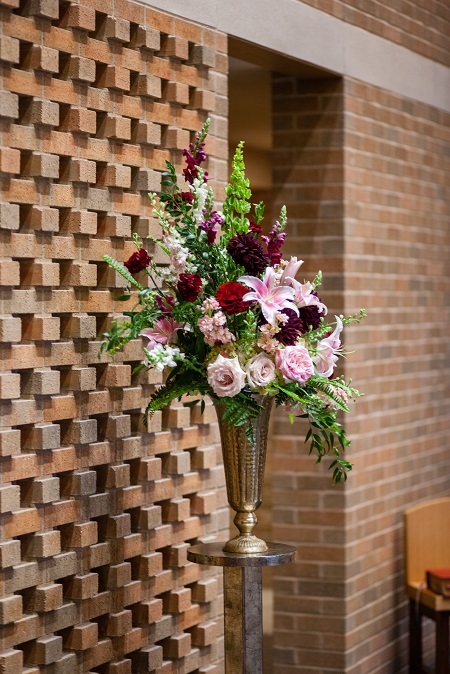 By combining the burgundy with blush and gold it created a rich and romantic palette at the same time. 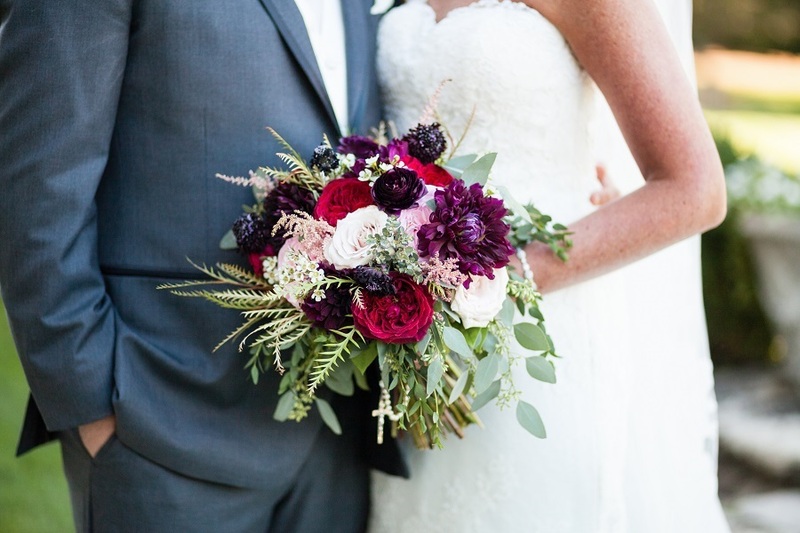 Erin chose a lush and luxurious blend of flowers for her bridal bouquets. 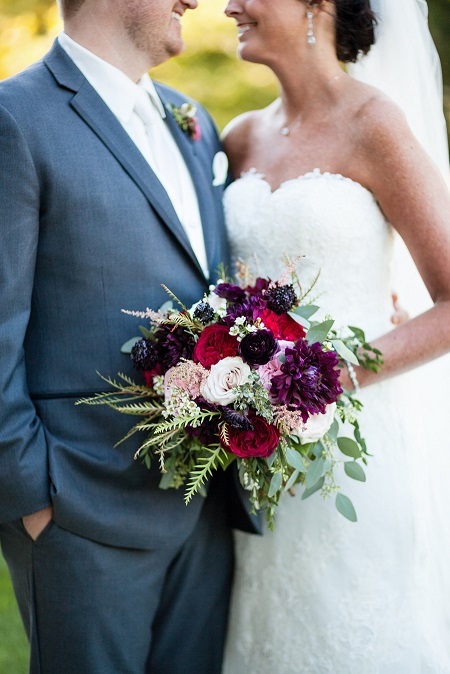 We used gorgeous black dahlias, burgundy Tess garden roses, pink O’hara garden roses, blush astilbe, white lisianthus, burgundy scabiosa and ranunculus, wax flower, assorted eucalyptus, grevilla and dusty miller. Erin especially enjoyed planning all the wedding details with her mom which she is super close with. Because they live seven hours apart they ended up talking on the phone and Skyping more than they would have if they were not planning a wedding which ended up being a special time for both of them. Erin and her mom thought of every little detail and were a joy to work with! Sign by The Ritzy Rose. Of course living seven hours away from the ceremony location made the planning more difficult for Erin. Every trip home was filled with meetings and for the meetings that didn’t work out when they were home, being able to make up via Skype was extremely helpful. The reception was held at Marriott Hotel and Conference Center in uptown Normal, IL. 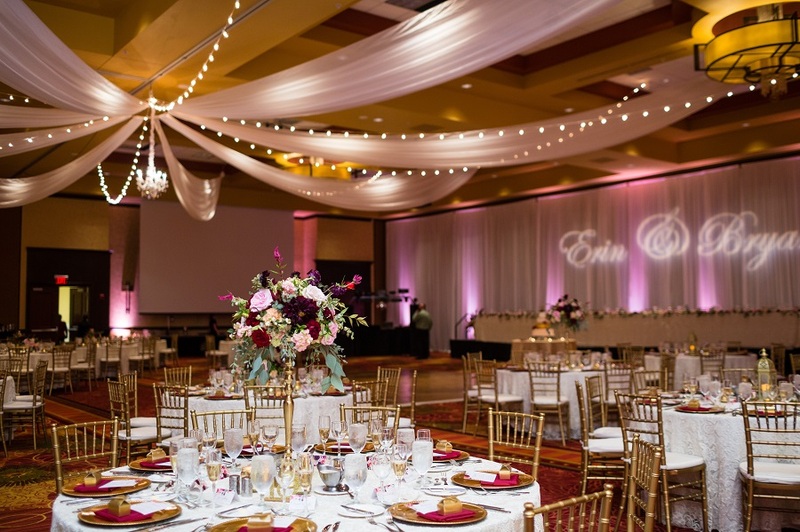 Wedding decor included elegant draping, linens, chairs and lighting was done by Palace Events. 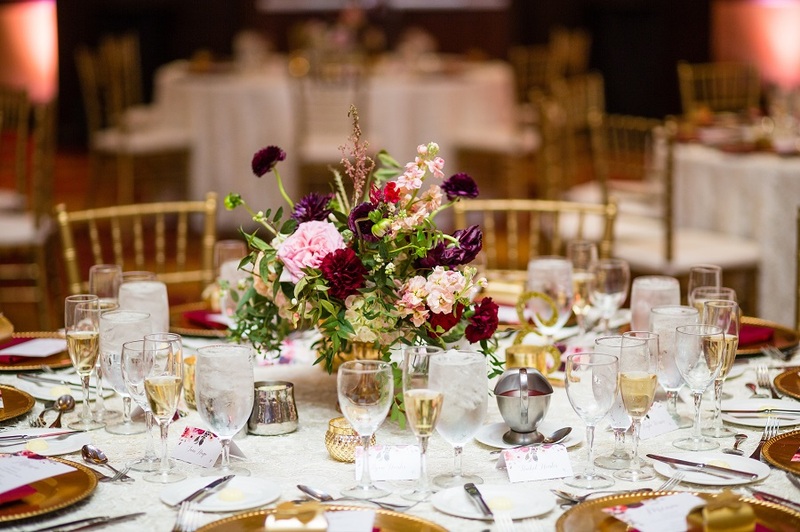 Three centerpiece styles were used; tall centerpiece arrangements on gold stands, low centerpiece arrangements in gold compote bowls and gold lanterns surrounded by eucalyptus and garden roses. 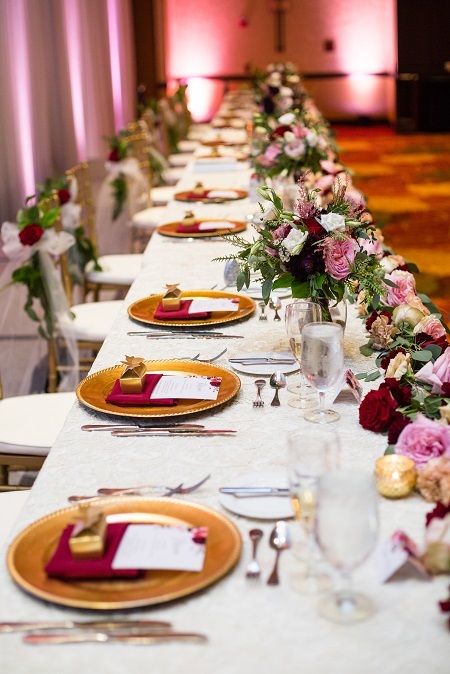 The head table was covered with a eucalyptus garland full of luxurious blooms to coordinate. 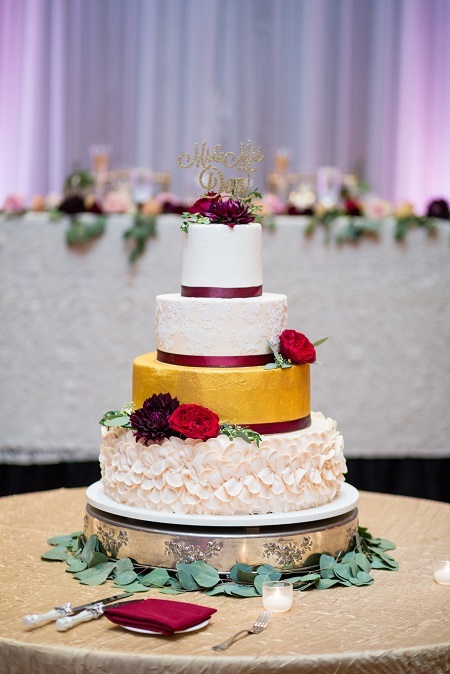 Trefzgar’s Bakery created the four layer cake with ribbon band accents, icing petals and gold gilding. Erin’s favorite memory of the day was having a first look with Bryan. 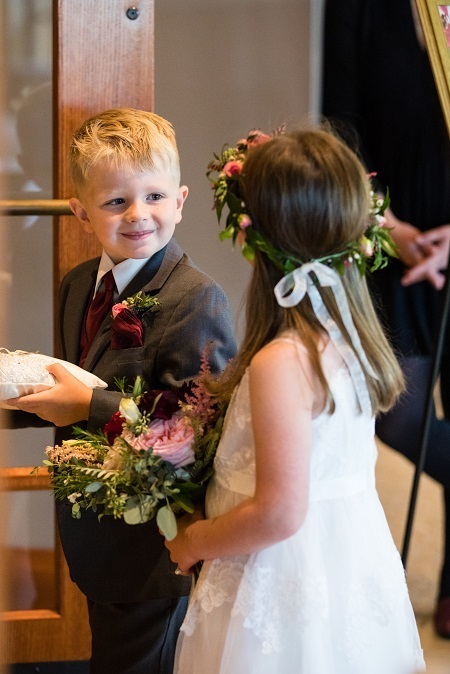 They both found it calming before they were put on display in front of all their family and friends and it helped them relax and be able to enjoy and take in their entire ceremony. 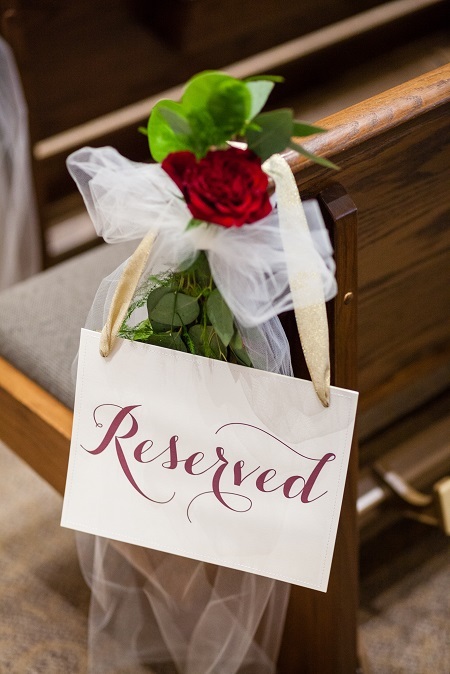 Erin’s advice to newly engaged couples is to not stress over the small details, but take your ideas from Pinterest and use them but don’t get lost in them. Everything will turn out as beautiful as you imagine to make your special day unique! 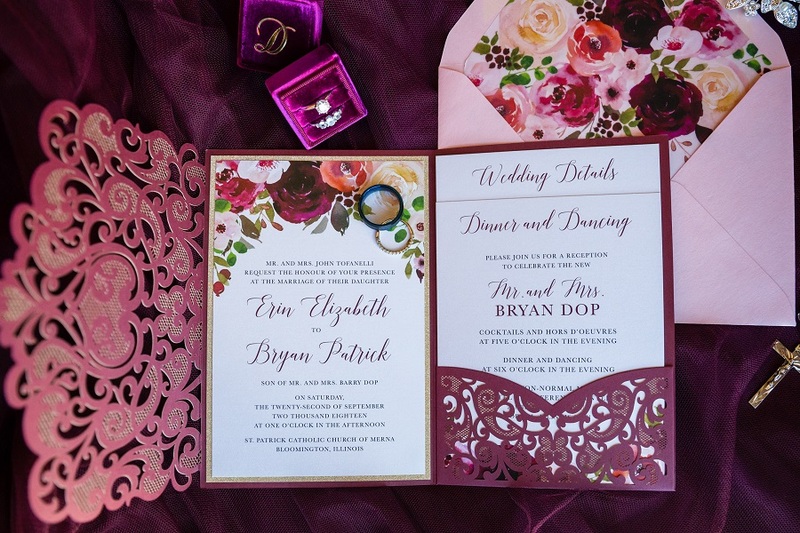 Invitations by The Copy Shop. 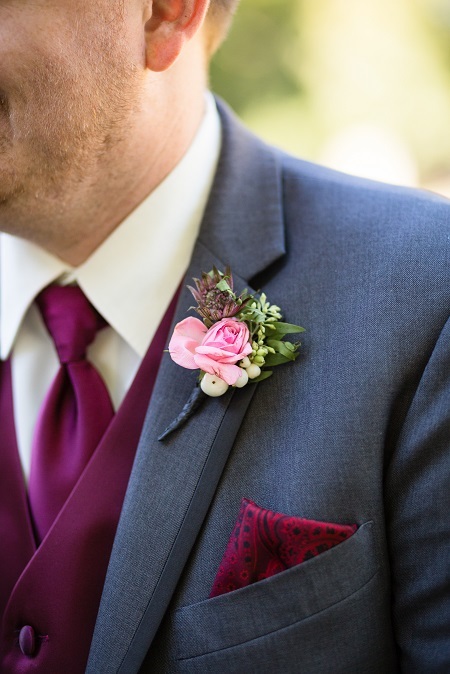 We love to work with couples who are looking for lush romantic floral design for their wedding. Call, text 309-212-6570 or email fancyfloralsbynancy@hotmail.com to get your free consultation.